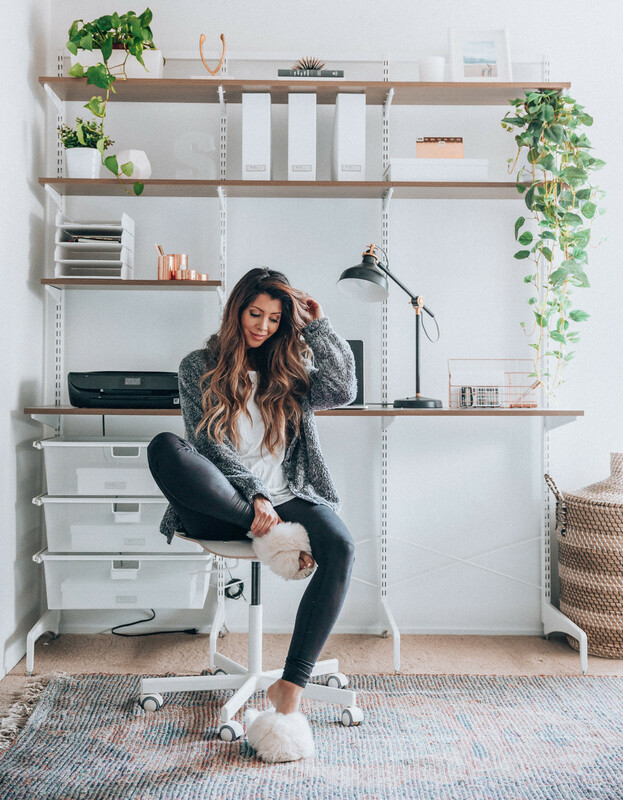 If you need ideas for your home office space, I'm your girl! 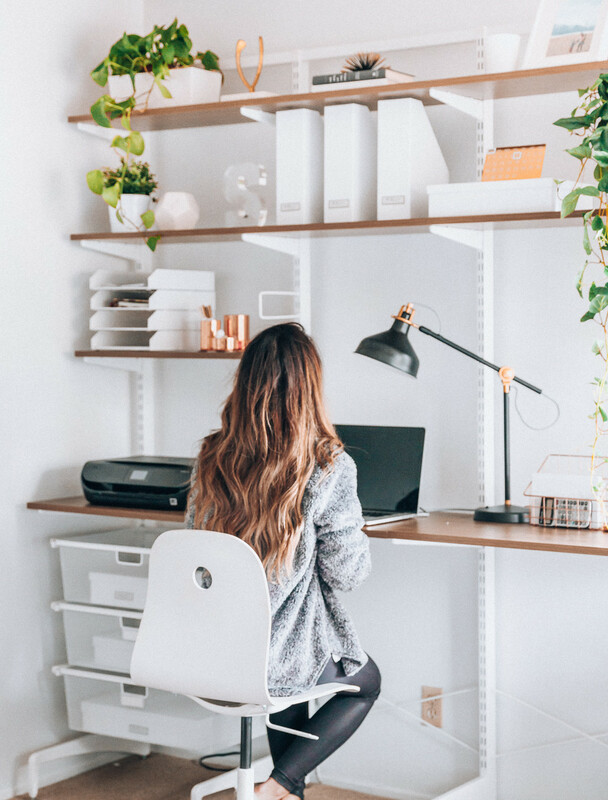 For the past couple of years, we've been wanting to redo our home office space, but were a little hesitant to take the plunge. (And by redo, I mean purposefully design for the first time ever.) I'm happy to say we finally dove right in, and the results are absolutely incredible! 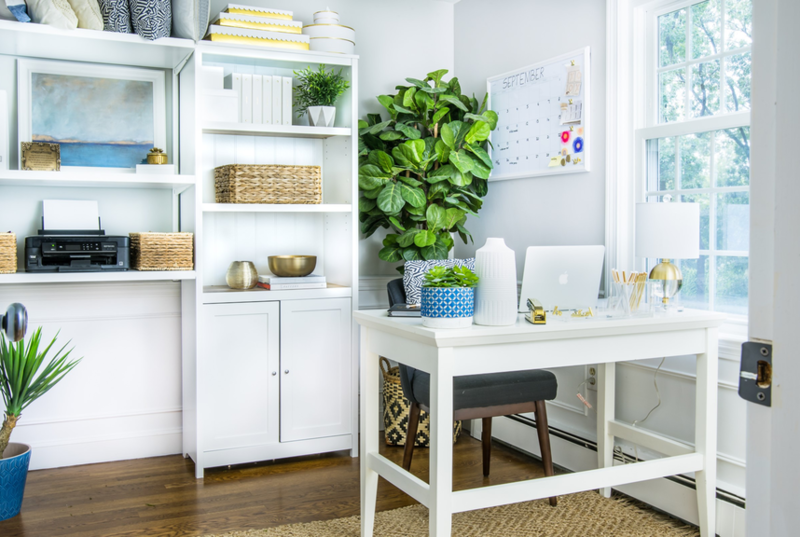 I can't even tell you how disorganized our home office space was in our last house! There were times when I truly wanted to pull out all my hair. 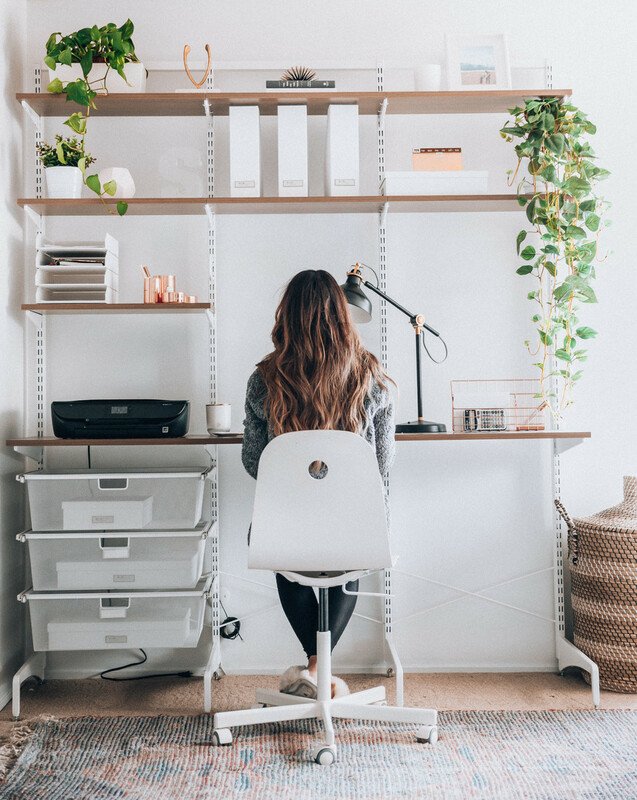 After we downsized, we ended up having to move our home office into our new master bedroom, which luckily, was spacious enough to have an actual workstation in it without getting too crammed. 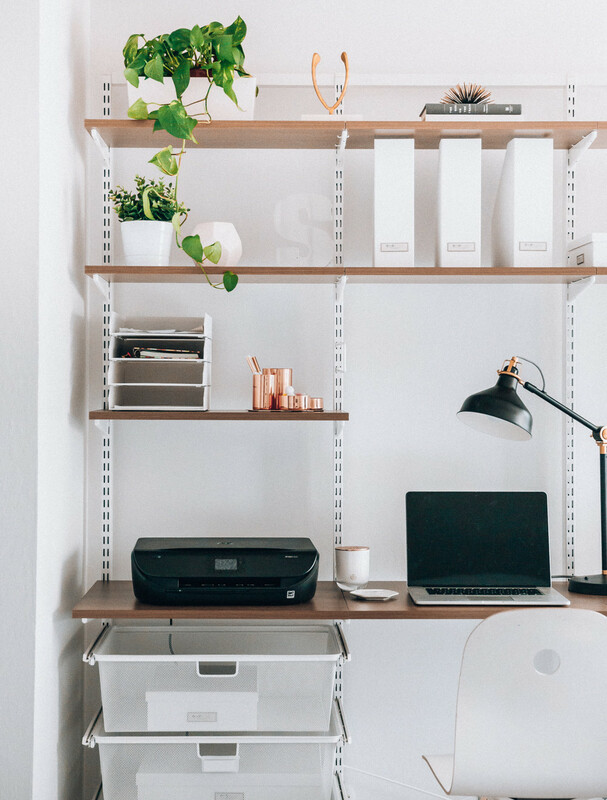 I was so excited to work with The Container Store for this project because they have so many beautiful desk and shelving solutions! I could literally spend an entire day in one of their stores without getting bored. 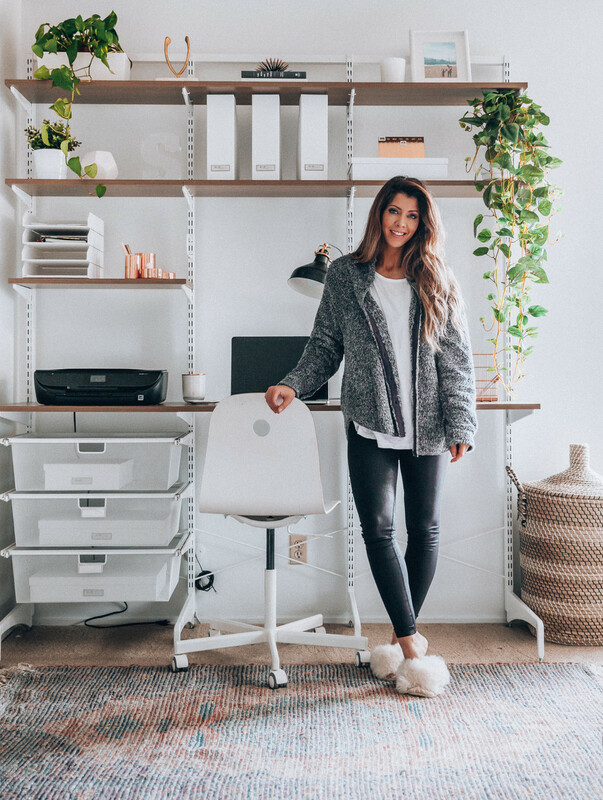 When it came time for me to pick a solution for my home office, I knew a custom designed Elfa Shelving Solution would work best for our needs and our space. 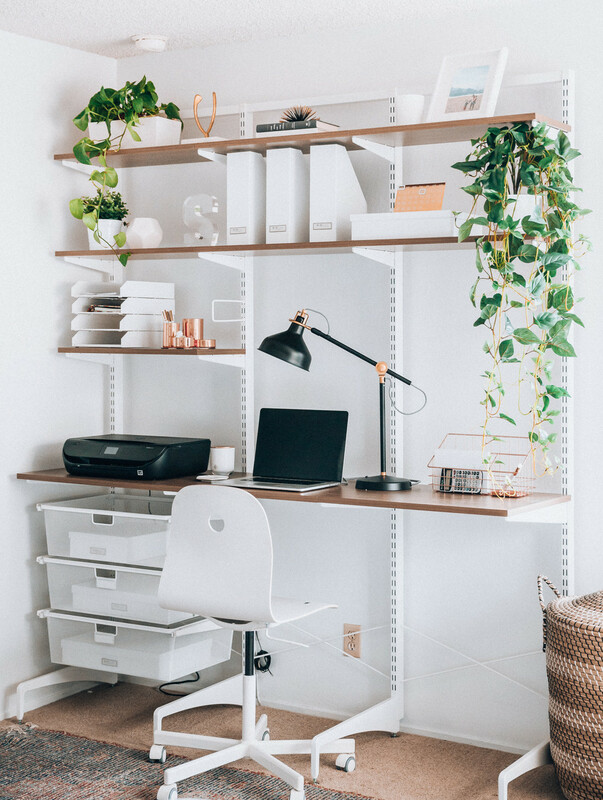 Together, one of their designers and I worked to come up with the perfect Elfa Shelving Solution for my work space. First, we chose the color for the hardware and shelves. I chose the white hardware with the Coffee Melamine Shelves - and I'm loving the combo. Next, we opted to go with a freestanding solution over a wall mounted solution. Since we're renting this house, we didn't want anything bolted to the wall. Plus, Elfa is so easy to un-assemble, which means we can easily take it with us later when we move. After we finalized the design, we put all the components together, and I was ready to actually use my workspace. The entire process was so seamless! I love all this shelf space. Plus, the design has a great minimalist and modern look to it. 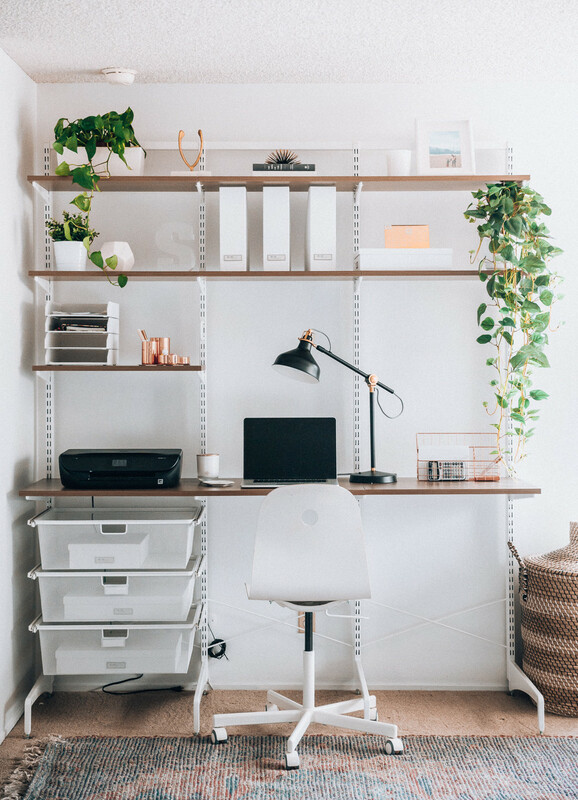 I got a few additional organizational items, like these Bigso White Stockholm Office Storage Boxes, to add even more storage to our space. 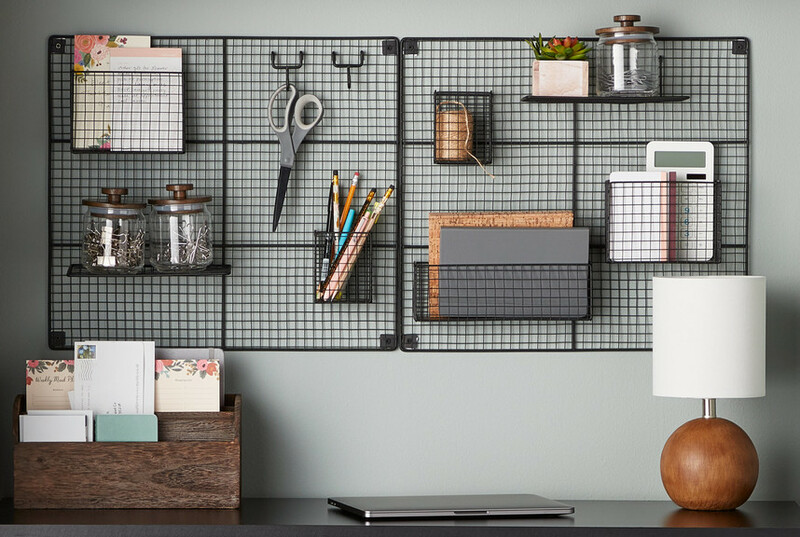 This not only prevents clutter, but it also adds a touch of style to my space. Oh, and the best part? All Elfa components PLUS installation are 30% off until February 26th! Did I mention, meeting with an in-store designer is free - and really easy? It's even possible to design online or over the phone. You can use Elfa to design a new custom closet, pantry, desk or garage... the possibilities are endless. 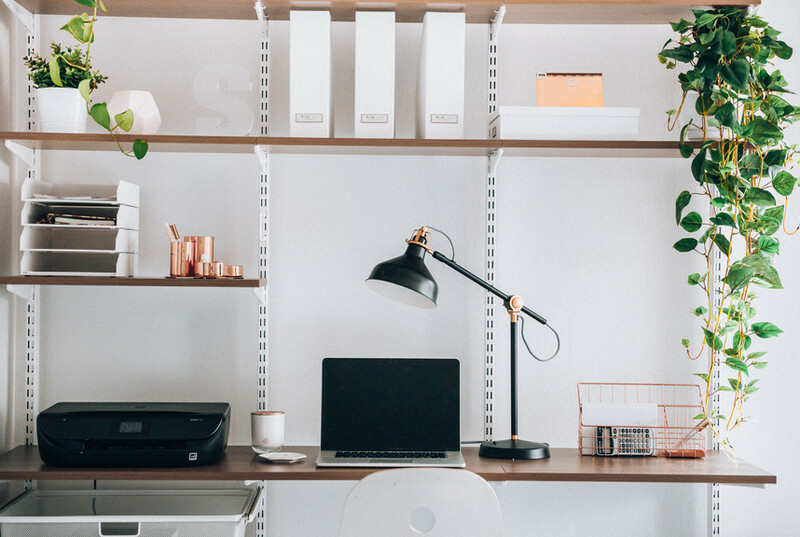 It's totally worth checking out for your own home office space. 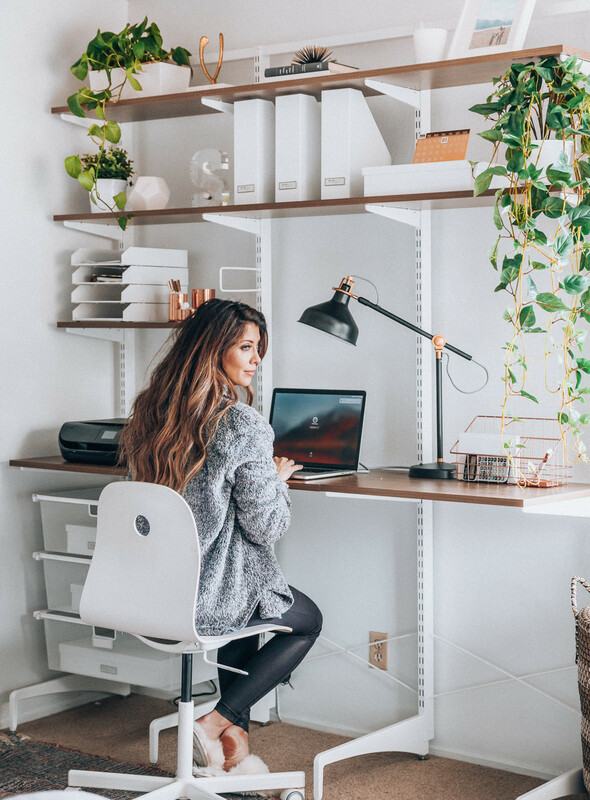 For more essential tips to creating the perfect home office, head to my Blog. And don't forget to follow me on Instagram for all things fashion, family, beauty, and a few embarrassing stories.